Repeating the same routine on a daily basis can become boring to anyone, especially if the routine is based around a relationship. Stressful situations -- such as heavy workloads or tending to a new baby -- frequently cause the flame in a relationship to become dim. 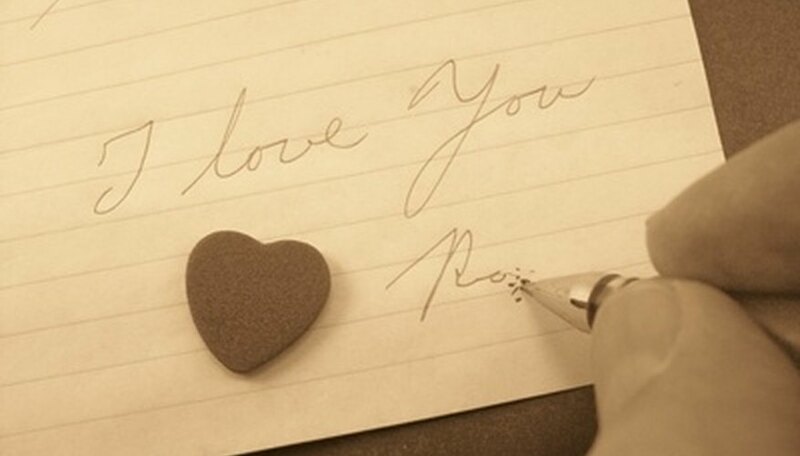 Rekindle a relationship by hand-writing a sensual letter to your partner. Write a sentimental love letter might rekindle your relationship. Go to a private place to collect your thoughts. Think about why you love your partner, and why it is important to rekindle the relationship. Jot down notes to include in the letter. Create an outline for your letter on scrap paper. Record when you first met, when you first fell in love, how long you've been together, what you've gone through together, why you love him and why you couldn't do without him. Be honest, but do not include hurtful words or phrases in your note. Negative comments or finger pointing are detrimental to relighting the flame in your relationship. Create the heading of the letter on a scrap piece of paper. Start the letter with a sentimental opening such as, "To the love of my life," "To my loving husband," or something similar. Using such a heading catches your partner's eye, and leads him to carefully read the remainder of your letter. Write the body of the letter; use the outline you created as a reference. Include a brief introduction of why you are writing the letter in the first paragraph. Discuss his good qualities -- and what makes him so special to you -- in the second paragraph. Focus on intimate memories in the third paragraph. Include a brief description of what you wish the letter to accomplish in the final paragraph. Make spelling and grammar corrections on the draft. Create the final copy. Transfer the draft onto high-quality stationary. Take your time copying the draft, and write as neatly as possible. Sign the letter with a sentimental ending. Buckle, Crystal. "How to Write a Letter to Rekindle a Relationship." Dating Tips - Match.com, https://datingtips.match.com/write-letter-rekindle-relationship-7824819.html. Accessed 19 April 2019.